This the East West version of one of our 3 Stone Oval Engagement Rings; and it is definitely simple and refined. Its uniqueness is that the stones are set horizontally rather than the typical vertical style. This one had an 8x6mm Sapphire and 2, 6x4mm diamonds. Other sizes and stone combos are possible. ACCENTS: These can be from 5×3 to 5×7, it depends on the size of the ring, the center stone, and if you want the stones to be smaller than the center stone. The listed price is for one of our East West 3 Stone Oval Engagement Rings in Sterling Silver with CZ. Contact us for other pricing options. 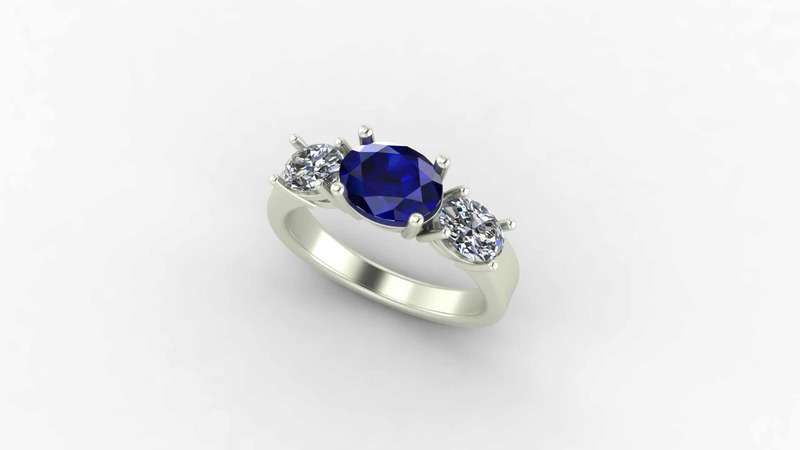 Click HERE to see another of our 3 Stone Oval Engagement Rings or contact us with your custom engagement ring idea. Click HERE to learn more about custom jewelry, to see our portfolio, or to contact us about 3 Stone Oval Engagement Rings. 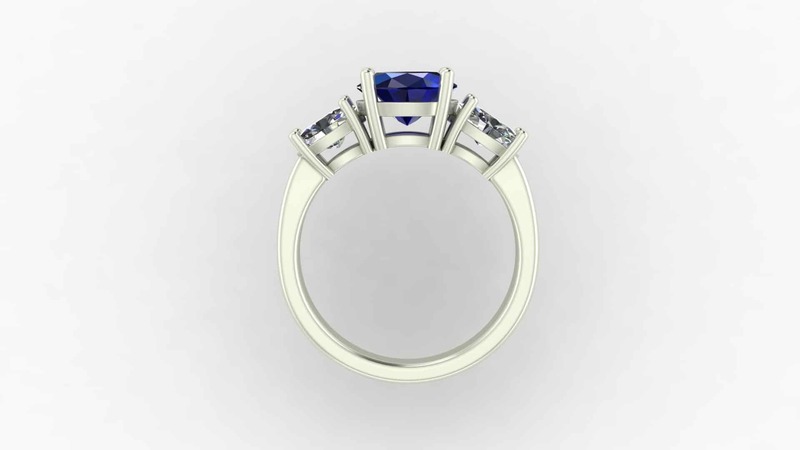 It can cost less than you think to have your very own custom engagement ring made just for you. Why hassle with the retail stores for boring and overpriced engagement rings?